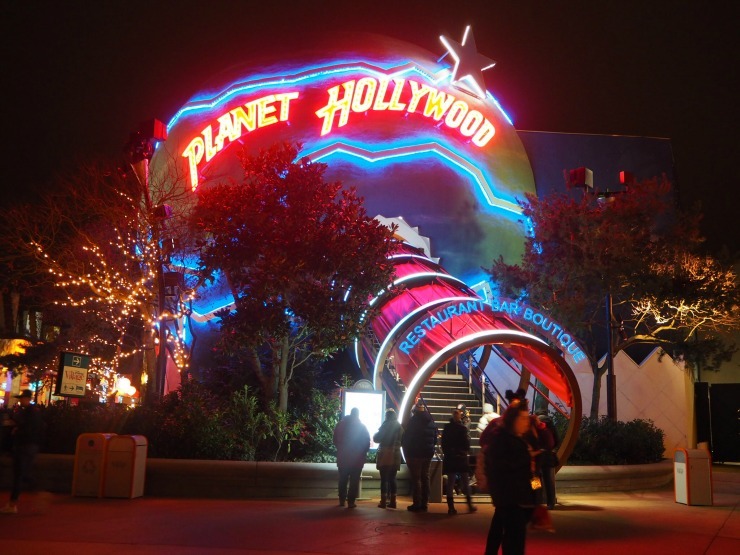 In the heart of Disney Village, the dining and shopping complex next to Disneyland Paris is Planet Hollywood. 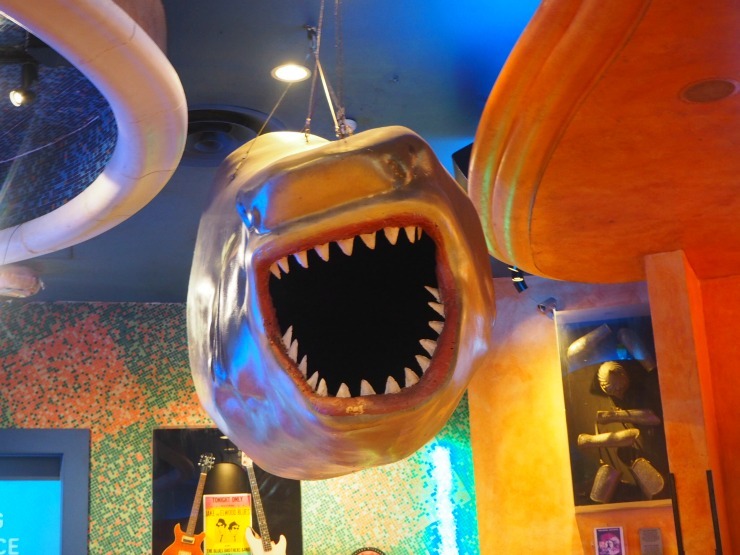 This well-known restaurant chain lights up the sky with its neon signs and is packed full of movie memorabilia spanning two floors. 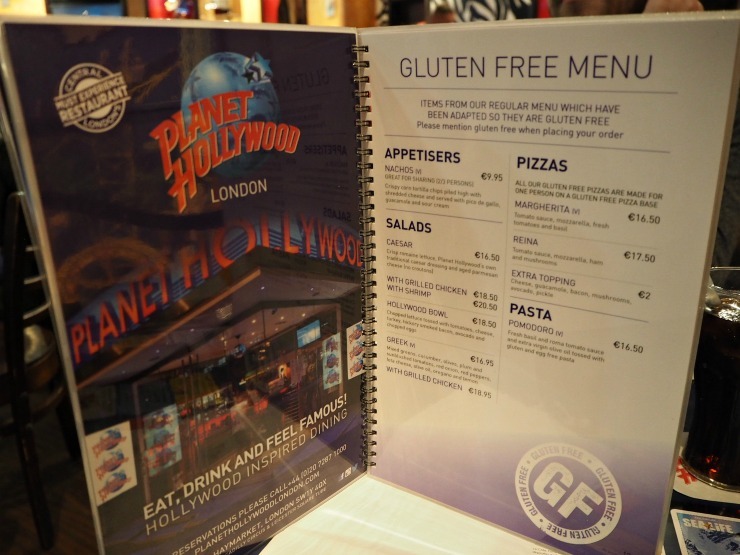 As it was my son Jake's birthday when we were visiting Disneyland Paris recently, I decided to take him there and reached out to Planet Hollywood. This meal was complimentary and all opinions are my own. We had timed it just right as we just made it to the restaurant around 7pm before everyone left the park after fireworks. We were taken to our seat, and we had a good view of the room, overlooking the balcony. Our server was great, unfortunately, we didn't catch his name but he had a London accent. The dishes were a mix of the usual American / Tex-Mex food including burgers and steaks as well as salads, pasta and pizzas. I was impressed there was a gluten-free menu available so this is a good place to come if you follow a gluten-free diet. First, we ordered a coke float, which Jake enjoyed and just some water for me. For starters, Jake and I decided to share the nachos. On the menu, it said it was big enough to share between 2 to 3 of you and I must admit it was big! 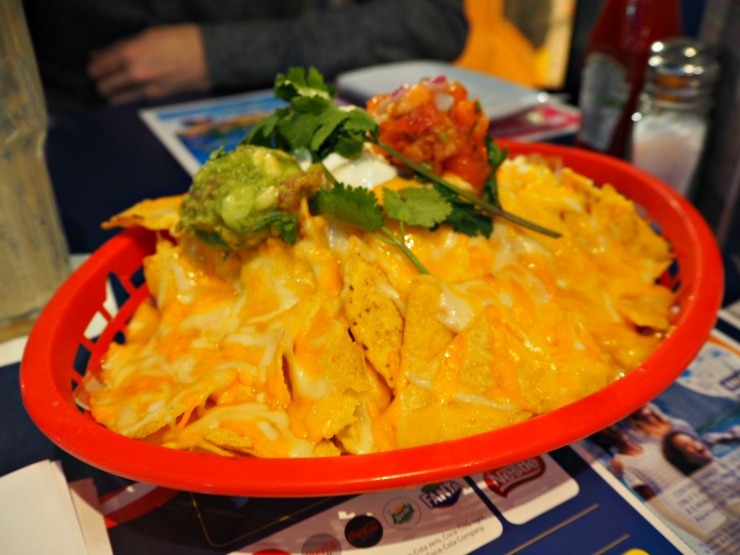 What we liked about the nachos was that the tortillas were warm and tasted fresh. The toppings, however, were not as good as they could have been, The pico de gallo didn't have a lot of flavour and needed some seasoning and the cheese was super mild which was a shame. It just needed some zing, perhaps a topping of chillis would have helped. If you have kids that don't like strong flavours though they would enjoy it. For mains, I ordered the sirloin steak whilst Jake ordered the salmon teriyaki. 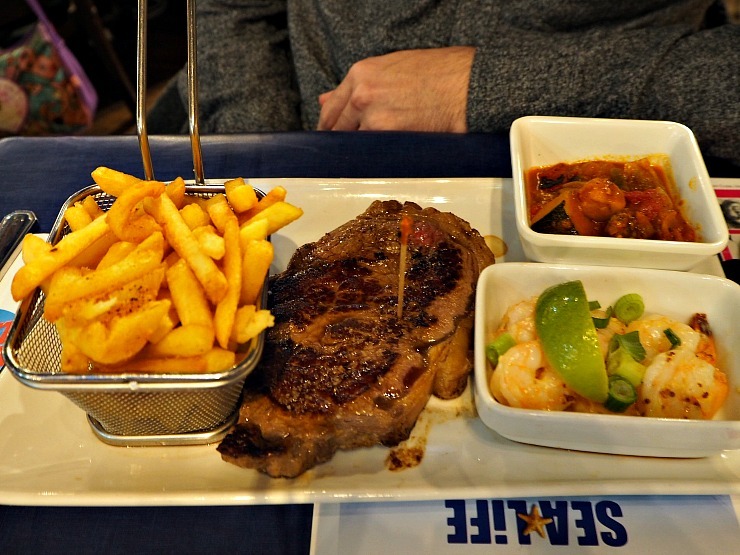 Unfortunately, the salmon had run out so Jake went with the steak and prawn surf and turf combo instead. 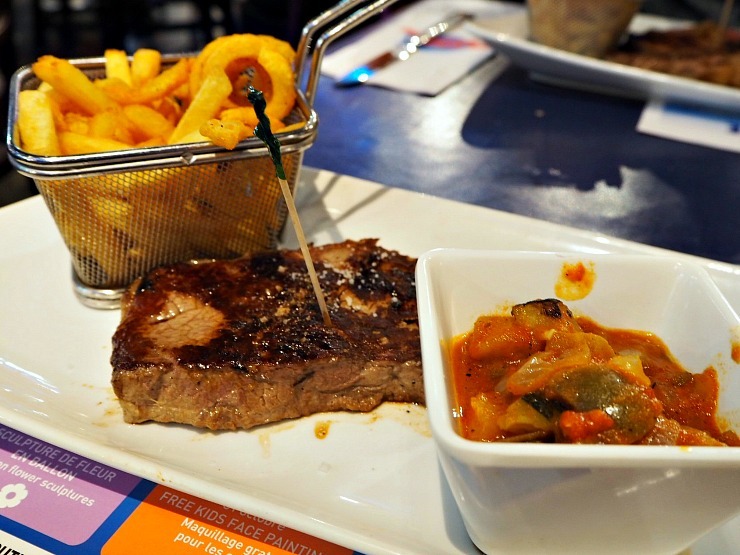 Jake's sirloin steak was described as '28-day grass-fed beef, chargrilled to order with a side of shrimps in a creole mustard sauce, mashed potatoes or fries and ratatouille.' Mine was the same without prawns. Our steaks came out overcooked. Jake enjoyed his and said it was juicy, I ordered mine medium to well and it was very well done, no juiciness at all and dry. I do normally order it medium but heard that in France it often comes out rarer but this was not the case here. The fries were a mix of normal fries and curly fries, some with seasoning, some without. I think it would be better if they were all the same. The ratatouille served with it needed some seasoning and something to uplift the flavour. The prawns with Jake's dish were lovely though, nice and juicy with a hint of coriander. The creole mustard sauce was not overpowering, and only had a hint of mustard. 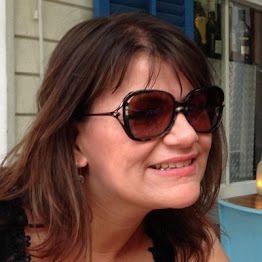 After our main courses I went to look at the movie memoribilia. 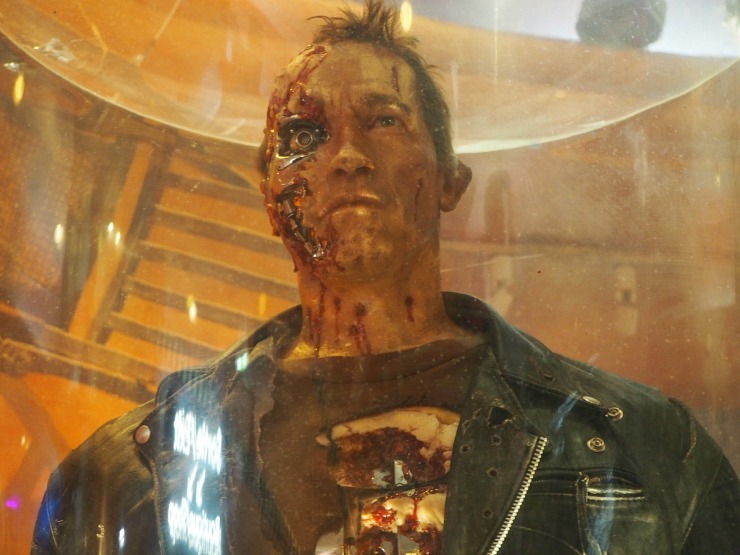 I was impressed with the model of Arnold Swazenneger from the film Terminator. There was a couple of cool models around the restaurant. This was a model from the film Dracula, Gary Oldman played this character. A cool model if you have seen the film. For dessert, we were getting pretty full but I managed to squeeze in a dessert plate of mini desserts called the Cafe Gourmand. The Cafe Gourmand was very good. 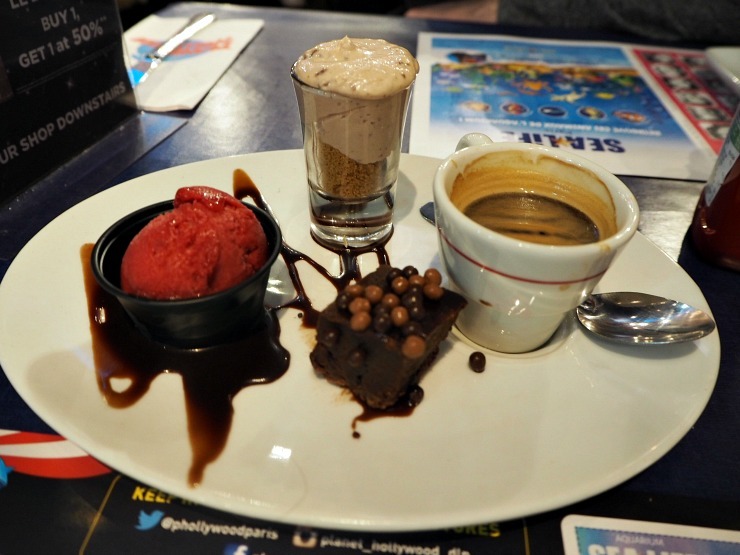 It consisted of raspberry sorbet which had a good sharpness, a mini Toblerone dessert cheesecake in a shot glass, a chocolate brownie and an espresso. The Toblerone dessert was especially scrumptious and the chocolate brownie was rich and decadent, all topped off with crunchy balls of chocolate. The icing on the cake, so to speak, was when the dessert came out with a sparkler in it and the staff sang Happy Birthday to Jake. They then showed him on the big screen in the restaurant whilst announcing his birthday. I don't think Jake will ever speak to me again but it did make me laugh, and he took it in good humour. It's good to know they will help you celebrate a birthday like this. Then it was time to ask for the bill. Although the meal was complimentary it would have come to 80 Euros. 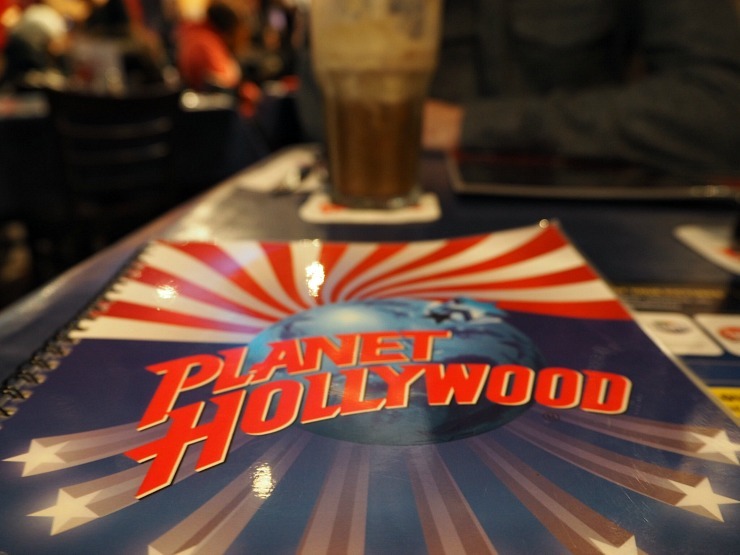 To sum it up, Planet Hollywood is a cool restaurant experience for movie lovers. It would be great to see some new movie merchandise added and I think this is the plan in the future to update the restaurant. Whilst the food wasn't perfect, the desserts were a real highlight, the service was good and the food came quickly. 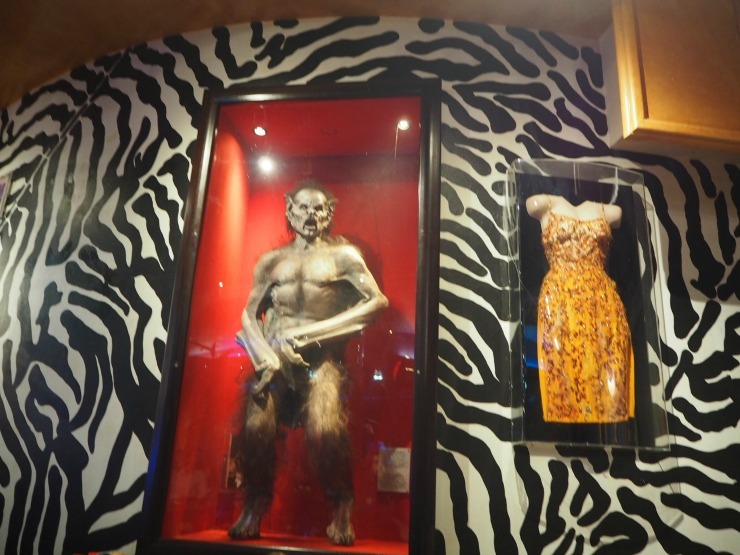 They also have a store attached where you can buy movie themed merchandise. 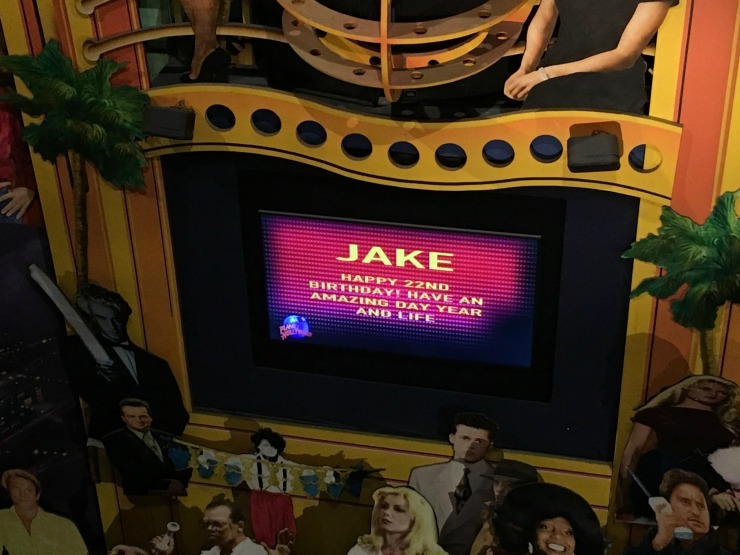 Planet Hollywood is always fun to eat at, love the birthday shout out too! Yes I loved the shout out, not sure about Jake! 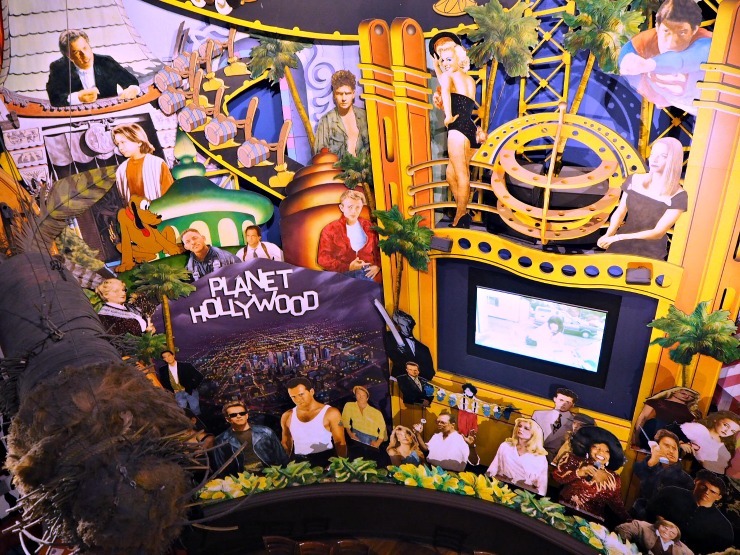 My kids always love a trip to Planet Hollywood. I love the sound of the Toblerone dessert - what a treat! I think it's a really exciting place, especially inside a park. Great fun for the kids. Ah we went there a few years ago and I totally agree with you about them needing a few more modern movie franchieses there. Hopefully they will update it in the future. 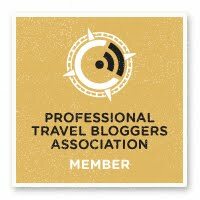 Aww we have celebrated a birthday in DLP Planet Hollywood before and never got a shout out. I would have loved to have seen the husbands face if they did haha.